170 km north of Rovaniemi, in Levi Tourist Centre area in centre of Levi. Wooden and stone-built holiday home on ground floor of apartment hotel, built 2001, living room/kitchen 2 beds and convertible sofa/bed, sauna (electric stove), washroom. No fireplace. Ski maintenance room and Lockable storage locker included in apartment rental. 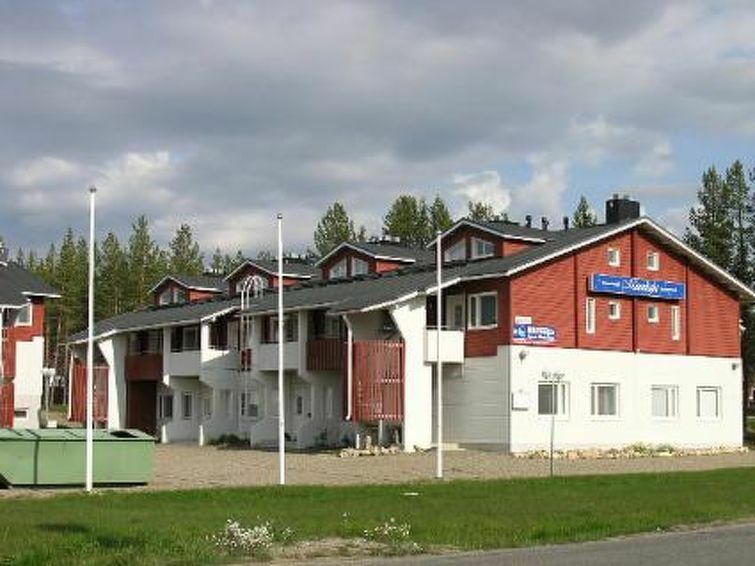 Compact apartment right in the centre of Levi. Levi Centre 550 m, which has e.g. a spa 550 m, slopes 550 m, restaurants 200-500 m, golf course 4 km, Kittilä airport 15 km.